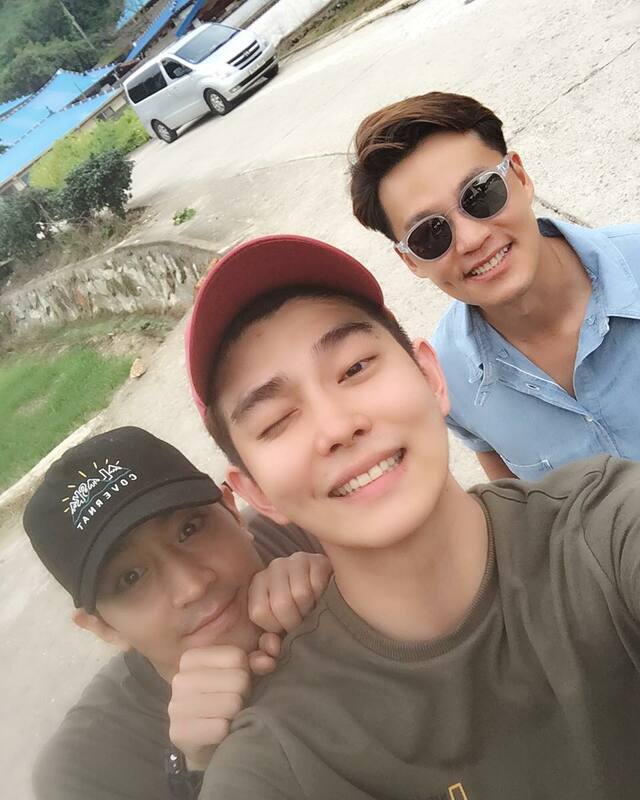 Yoon Kyun Sang posted a sweet photo he took with Lee Seo Jin and Eric. Lee Seo Jin, Yoon Kyun Sang, Eric are scheduled to take a part as Island mates in tvN reality show ‘3 Meals A Day – Fishing Village’ in a special island, Deukryangdo. The 1st broadcast will be on upcoming October 14th at 9:15PM KST following the Manjaedo episode. Lee Seo Jin showed his killer pose as he made a smile that revealed his dimple, Eric put his hands on Yoon Kyun Sang’s shoulder with a cute facial expression, and Yoon Kyun Sang showed a playful look with a wink. The affectionate side of the three persons creates a heartwarming atmosphere. This entry was posted in My Yoon Kyun Sang 윤균상 and tagged 3MAD, eric, lee seo jin, three meals a day, Yoon Gyun Sang, yoon kyun sang, Yun Kyun Sang, yunkyunsang. Bookmark the permalink.